One in seven Canadians over the age of 15 has a disability of some kind, according to Statistics Canada, whether it’s related to hearing, vision, mobility, memory or something else. Three-quarters of Canadians with disabilities have more than one kind1. For these individuals, being able to participate in society on par with their fellow citizens – shop in the same places, learn at the same schools, read the same online information – is a fundamental right. Accessibility laws are written to protect and enforce those rights. Canada has long had legislation that bans discrimination and mentions disability, but usually disability is lumped together with various other grounds of discrimination such as ethnicity and gender. These laws have been passed at both federal and provincial levels of government and apply to different areas of social inclusion. In recent years, however, disability-specific laws have been emerging to make it clearer what needs to be done to ensure that people with disabilities are not treated unfairly. The Canadian Human Rights Act. This law prohibits discrimination or harassment that is based on any of 11 different grounds. Disability is on the list. The law protects those employed or served by the federal or First Nations governments. Companies in the private sector that are federally regulated, such as banks and broadcasters, are also covered by this human rights law. These companies cannot, for example, distribute a mobile app that can only be used by customers who don’t have disabilities. The Employment Equity Act. This law requires federally regulated employers and crown corporations to eliminate barriers that prevent people with disabilities (and other designated groups) from participating equally in the work force. It also calls for these employers to provide accommodations, such as ensuring the technology used to perform a job is accessible. Quebec’s Act Respecting Equal Access to Employment in Public Bodies prevents public-sector employers in this province, including schools, healthcare providers and public transit, from discriminating against employees and potential employees with disabilities. Provincial human rights legislation. Each individual Canadian province or territory has a human rights act. These laws are important, because they make it illegal for discrimination against people with disabilities to occur in a host of areas such as the provision of goods and services, employment and housing. Like other laws we’ve listed so far, these human rights acts name multiple grounds of potential discrimination, not just disability. In Ontario, for example, the Human Rights Code covers 17 different areas of possible discrimination. Besides disability, it includes sexual orientation, marital status, religious practices, place of origin and being in receipt of public assistance. Canada and a few of its provinces have been developing legislation that focuses specifically on the rights of people with disabilities, instead of lumping these rights together with other minority groups. These laws are expected to do even more to ensure accessibility for Canadians. Here’s a snapshot of what’s been happening, and will happen, across the country. The Federal Accessibility Act. This isn’t its official title (yet), but we’ll soon find out what Canada’s upcoming accessibility legislation is called when it’s unveiled sometime this year. The federal government has already released a report on its consultation process, in which people with disabilities, advocates and organizations gave input on the most important goals of this legislation. One priority that became clear, and should feature prominently in the new legislation, is the need for technology to be accessible in order for Canadians with disabilities to participate equally in society. 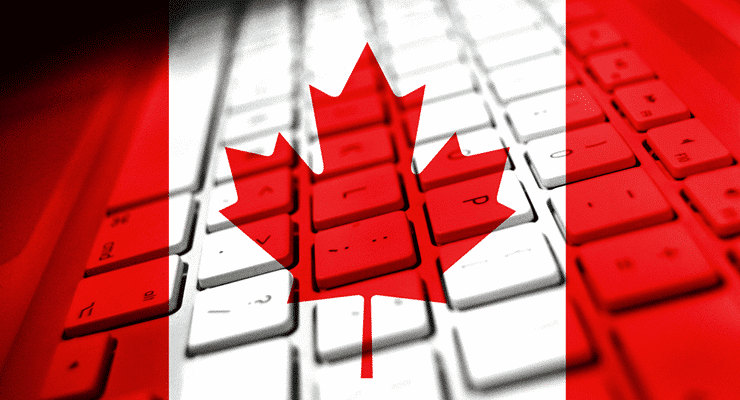 According to the report, “Many agreed that the Government of Canada should use standards for information and communication technologies for all digital content, such as the Web Content Accessibility Guidelines.”2 This refers to WCAG 2.0, a broadly accepted set of accessibility guidelines for digital technology. The Accessibility for Ontarians with Disabilities Act (AODA). The AODA became law in 2005 in Ontario. As such, it’s the oldest legislation of this kind in Canada. The AODA makes it compulsory for the public and private sectors to follow established sets of accessibility standards when dealing with the public. The standards fall into five categories: information and communications; customer service; transportation; employment; and design of public spaces. Under the Information and Communications Standards, Section 14, “Accessible Websites and Web Content,” outlines requirements to ensure that web content follows the technical requirements of WCAG 2.0, and that people with disabilities do not face barriers online3. The Accessibility for Manitobans Act. Manitoba’s provincial accessibility legislation was passed in 2013. Its structure is similar to Ontario’s law: It currently focuses on five mandatory accessibility standards that apply to both the public and private sectors. And, like the AODA, it includes an Accessible Information and Communications Standard to ensure accessibility of information, including online information. Other provinces are expected to follow suit with their own accessibility initiatives. In British Columbia, for example, the government is taking steps towards its proclaimed vision of “Accessibility 2024,” with the goal of “making B.C. the most progressive province in Canada for people with disabilities by 2024” – including a fully accessible Internet5. The government itself has already committed to ensuring that its online content and apps adhere to WCAG 2.0’s technical requirements. In other provinces and territories, including Saskatchewan and Yukon, disability advocates are putting pressure on their own governments to pass accessibility legislation. Canada’s Honourable Carla Qualtrough, who has worked on the federal legislation, is quoted as saying: “What many provinces have told us is, once we do our law, they will then do a mirror image in their province.”6 There’s no question we’re headed in the direction of full and fair accessibility for all Canadians, mandated by law. Organizations that are already removing barriers are showing the country that all customers and clients, regardless of disability, are welcome to do business with them.